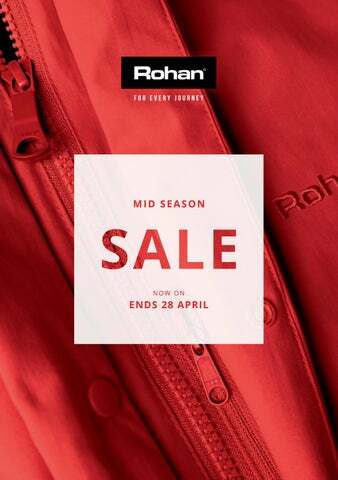 MEN’S MID SEASON SALE OFFERS Our Mid Season Sale is a great time to grab a Rohan bargain. All the world-class performance with some proper savings. Stocks are limited and all offers end on 28 April 2019, so if you want a bargain you’ll have to be quick. For a host of other offers check in-store, online at rohan.co.uk or call 0800 840 1412. Place your telephone order with us 24 hours a day, 7 days a week. *All calls to our 0800 numbers are free, including calls made from mobile phones. You can browse our complete range of sale bargains online where there’s also a detailed list of technologies, features and benefits. Standard UK delivery is charged at £3.95. 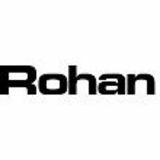 Alternatively, you can have your order delivered free of charge to any Rohan store. You will get a call as soon as it is ready for collection. Lots more items available in-store and online. HUGE SAVINGS ON END OF LINES End of line items available online, by mail order and in selected shops only. END OF LINES – LIMITED STOCK WITH End of line items available online, by mail order and in selected shops only. How to buy IN-STORE at one of over 50 shops ONLINE rohan.co.uk MAIL ORDER 0800 840 1412 See page 2 for more details. If undelivered please return to: 30 Maryland Road, Tongwell, Milton Keynes MK15 8HN.